Ecuson Studio is a graphic design studio specializing in business communications services: corporate identity, branding, print, package and web design. We focus on the expectations of our customers and strive to exceed them. We offer top quality design at affordable prices. 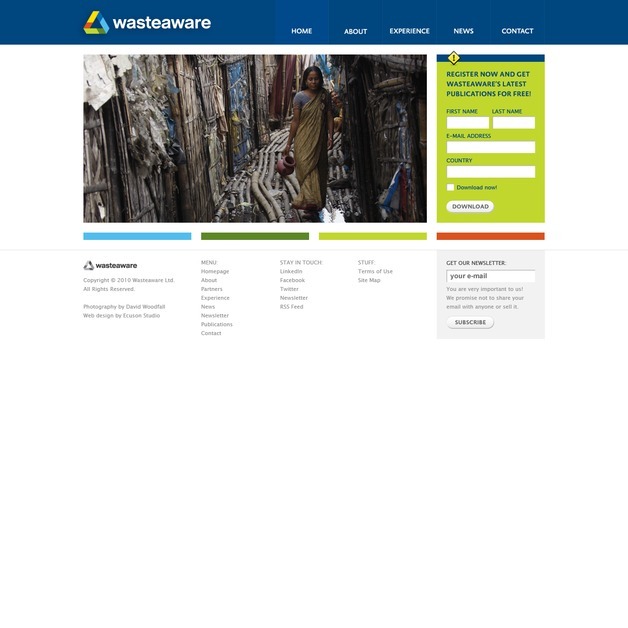 This is a screenshot from our latest homepage redesign of wasteaware.org.